She’s back on board with this season’s British version of ‘The X Factor’ and it would appear that young Tulisa Contostavlos (simply ‘Tulisa’ to most) isn’t planning on slowing down anytime soon, releasing the official video to her brand new single ‘Live It Up’. 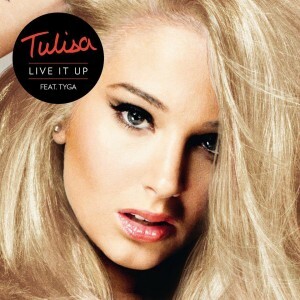 ‘Live It Up’ is the follow-up to Tulisa’s debut single ‘Young’, which slammed the UK No.1 spot on its release earlier this year and is lifted from her forthcoming debut solo album, due for release in Britain later this year. But whereas ‘Young’ was aimed straight at the dancefloors, ‘Live It Up’ is a lot more urban in flavour – a percussion-heavy slow jam with a echoing siren. ‘Young’ got a digital release here via UK label All Around The World, so we may see ‘Live It Up’ here on its release on September 09.